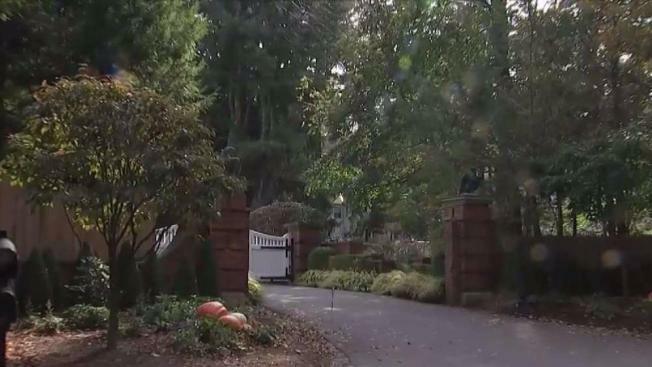 The device found in a mailbox at the New York home of billionaire philanthropist George Soros "had the components" of a bomb, according to authorities and law enforcement officials familiar with the investigation. The person placed the package in a wooded area and called police, who alerted the FBI and the Bureau of Alcohol, Firearms and Explosives. A law enforcement source tells NBC 4 New York that the device contained explosive powder; it was detonated as a precaution. Investigators are reviewing surveillance video to determine whether the package was sent via mail or otherwise delivered. The FBI is working with police to figure out who sent the device, which a senior law enforcement official said was similar to a pipe bomb. A law enforcement source says evidence was sent to the FBI lab in Quantico for testing. In the meantime, much of the case remains a mystery. "We don't have any sense of what the motivation was at all," FBI Assistant Director William Sweeney said Tuesday. "We will look at how the device was delivered. Was it through the mail, not through the mail. Who was potentially in the area and we go there just like basic investigative steps." Soros, a billionaire who made his fortune in hedge funds, has donated heavily to liberal causes and is vilified on the right. He is also the subject of many unfounded conspiracy theories. Recently, conservative critics have, without evidence, accused him of secretly financing a caravan of Central American migrants to make their way north toward Mexico and the U.S. Activists frequently post the addresses of homes he owns in Westchester County on social media sometimes accompanied by ill wishes. Soros' foundation, The Open Society Foundation, released a statement Tuesday condemning "the politics of hate that dominates our discourse today." "In this climate of fear, falsehoods, and rising authoritarianism, just voicing your views can draw death threats," the statement continued. "George Soros deplores violence of any kind, and urges politicians across the political spectrum to tone down their rhetoric. Words have consequences, and we bear a collective responsibility to create a more civil way to discuss our political differences. Respect for a diversity of opinions is fundamental to open society and that is the work that George Soros has devoted his life to. Our politics should be more about what we’re for than who we hate."